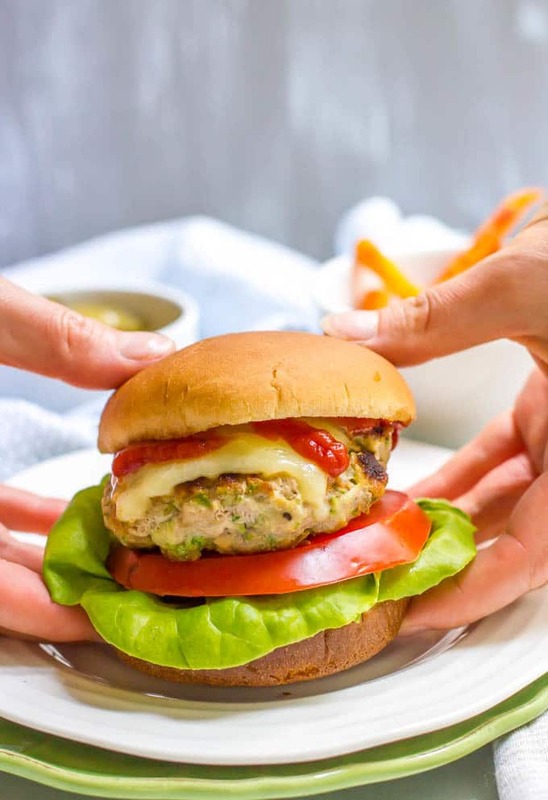 Zucchini turkey burgers are just 5 basic ingredients and come out so juicy and flavorful – perfect for an easy dinner! And we’re gonna get right to the food! Not a beef burger in sight. I don’t think I’ve ever cooked one! So here’s the truth: I’m not big on ground beef. Stopped eating it years and years ago and just haven’t ever gone back. To be sure, my husband orders beef burgers left and right when we go out to a restaurant that has really good burgers (cause he has standards for sure!) and my daughter has chowed down on some restaurant beef burgers in the last few months when we’ve let her order out. But me? Just not my thing. I’d way rather have a veggie burger, chicken burger, turkey burger or even pork burger. They are just perfectly seasoned and only require 5 ingredients (plus salt and pepper, which don’t count in my book). You can cook these on the grill or in a skillet – whatever works for you! 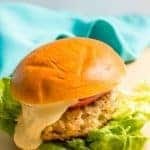 My package of ground turkey at the store is 1.3 pounds, so the recipe below is written for 5 burgers. 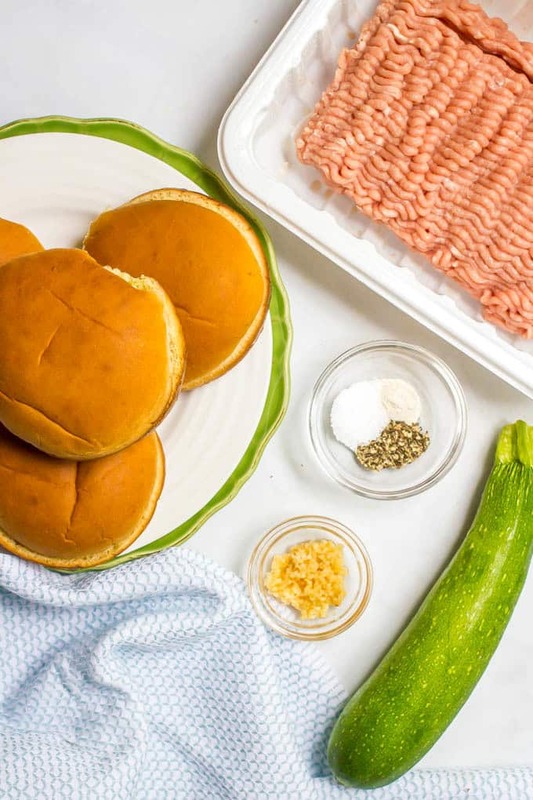 If your ground turkey is just 1 pound, you an slightly reduce the quantity for each ingredient and make 4 burgers. 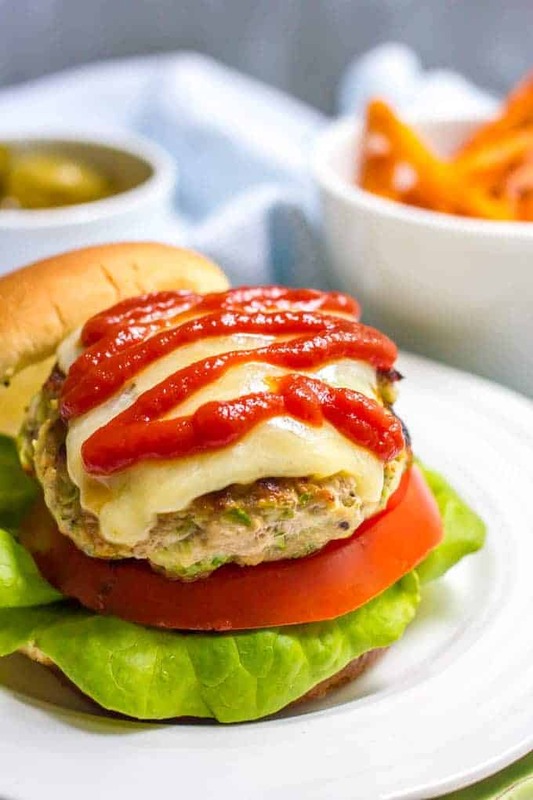 We love our burgers topped with slices of cheddar cheese and served with ketchup or BBQ sauce. You can also add some red pepper flakes to the burger mixture if you want a little spice. And you know me – don’t forget the toppings! Pile on the lettuce, tomato, red onion slices, cheese, salsa, guacamole or sliced or mashed avocado, and whatever else your heart desires! I mean, really, so many sides and so little time!! I hope you have a lovely, relaxing week, a happy 4th of July if you are here in the US, and I will see you back here next week for more deliciousness! 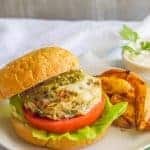 Zucchini turkey burgers are just 5 basic ingredients and come out so juicy and flavorful - perfect for an easy dinner! 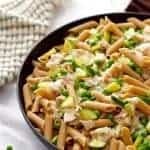 Combine ground turkey with zucchini, garlic, salt, pepper and onion powder. Mix until combined but don’t overmix. Divide the mixture into 5 equal patties, about 1/2-inch thick. 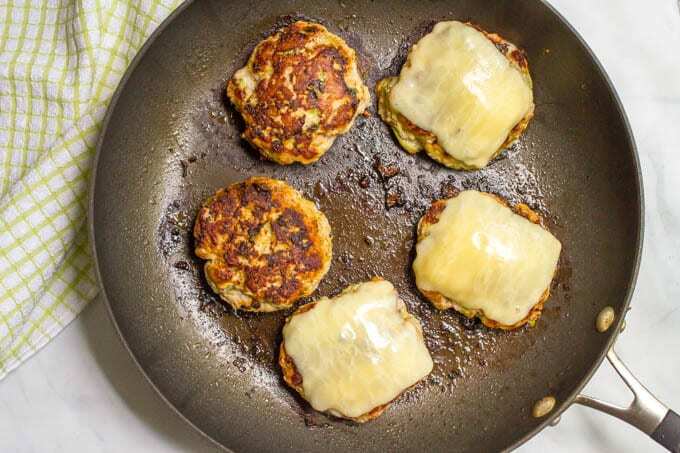 If using, add cheddar or other cheese after you have flipped the burgers, so the cheese can melt down. You can cook these on the grill or in a skillet. My package of ground turkey at the store is 1.3 pounds. 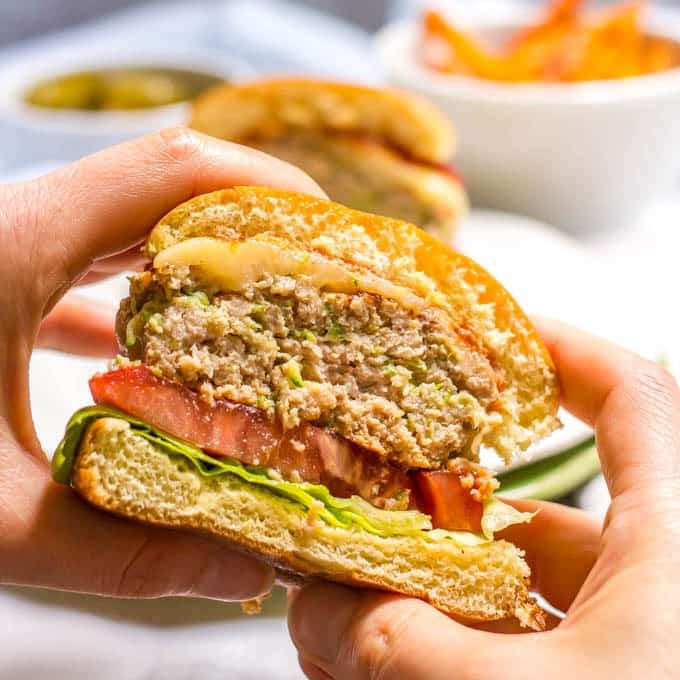 If yours is just 1 pound, you can slightly reduce the quantity for each ingredient and make 4 burgers. We love our burgers topped with slices of cheddar cheese and served with ketchup or BBQ sauce. 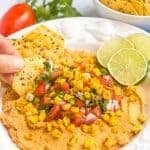 Other topping ideas: lettuce, tomato, red onion slices, cheese, salsa, guacamole or sliced or mashed avocado, anything else you love! You could also add some red pepper flakes to the burger mixture if you want some spice. 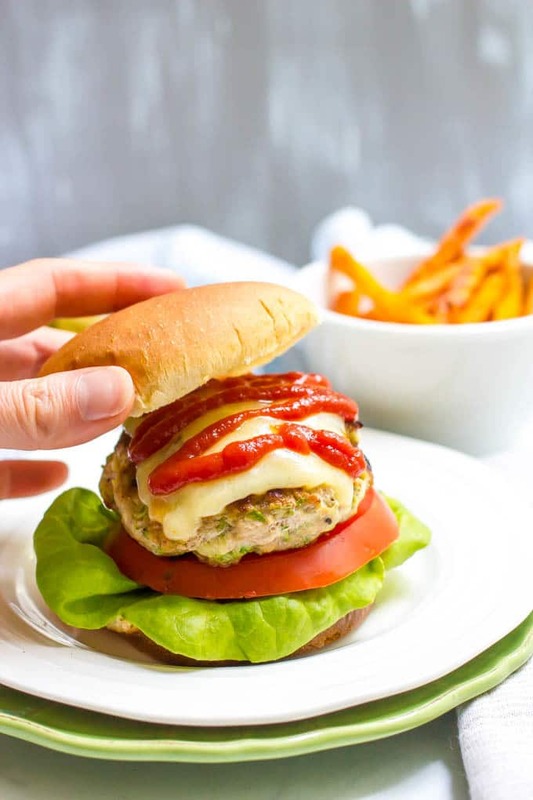 You can keep extra burgers in the fridge for 3-4 days or in the freezer for up to 3 months. 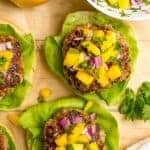 I always freeze the cooked patties, but you could freeze the uncooked ones too - just wrap them up well in wax paper and put in a freezer-safe bag or container. 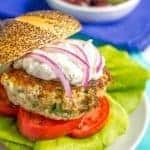 Ok, I really like turkey burgers, and the zucchini idea sounds amazing! Pinning this to try. Thanks so much! I hope you love it Katherine! I make zucchini turkey meatballs quite often, they are delicious! Making burgers sound even better. Yes – I love adding zucchini to meatballs too Adina! So yummy!